Acting FAA Administrator Daniel Elwell appeared before a Senate Transportation subcommittee on commercial airline safety, on Wednesday. Two recent Boeing 737 MAX crashes, in Ethiopia and Indonesia, which killed nearly 350 people, have lead to the temporary grounding of models of the aircraft. The investigation is ongoing, but air-safety officials have cited preliminary indications that the March 10 crash may have been caused by a similar malfunction that, in October, led to the crash of the Lion Air Boeing 737 Max in Indonesia. Nearly 350 passengers died in the two accidents; there were no survivors. The system implicated is known as the MCAS, or Maneuvering Characteristics Augmentation System. The system is designed to aid pilots using fly-by-wire systems to receive proper feedback in order to prevent an airplane from stalling. Questions have been raised about whether pilots of the 737 Max 8 and 9 should have received training on how to respond when the MCAS unexpectedly engages and, as in the case of Lion Air Flight 610, forces the nose of plane downward. Elwell said that in the immediate aftermath of the crash, Ethiopian flight’s track data, which recorded the jet’s height, speed, and other crucial data, was not reliable. It wasn’t until Wednesday, March 13, that the FAA received a dependable flight track, according to Elwell. “That data was refined on Tuesday night, into Wednesday, by the company that actually received the data through their satellite system,” he said. With help from Boeing and the National Transportation Safety Board—whose chairman, Robert Sumwalt, also testified on Wednesday—Elwell said the data was refined. It was at this point that the FAA first saw evidence of a striking correlation between the two crashes. “When you have the possibility of a link between two accidents of the same type aircraft, it’s prudent to ground them until you find what that link is, mitigate that link,” he said. Pressed by lawmakers on the FAA’s decision to delay grounding the fleet of aircraft, Elwell said his agency acted only after it had reliable data to inform its judgment. Calvin Scovell, the inspector general of the U.S. Department of Transportation, told lawmakers that faith in the FAA as the “gold standard for aviation safety” has been “shaken.” He said his office was currently researching the question of why the FAA delayed grounding the planes, as well as why the FAA approved use of the MCAS system—or the extent of FAA’s “involvement in Boeing’s decision to approve it”—and how FAA reached its decision that pilots did not need additional training. 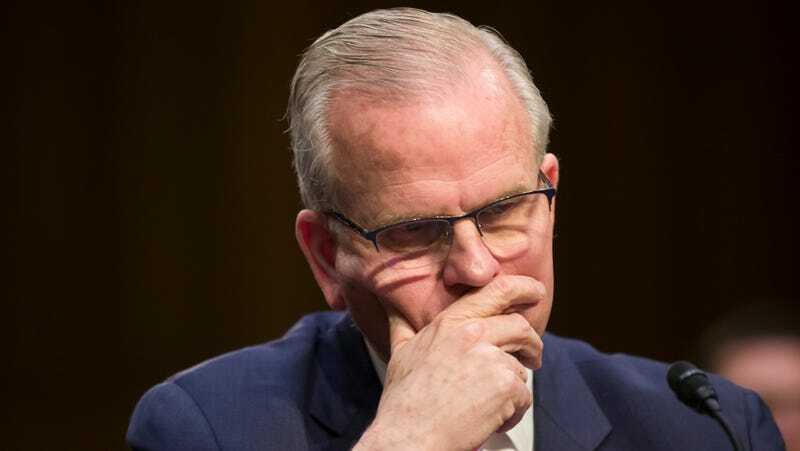 In a press briefing Wednesday, Boeing officials told reporters the company was close to rolling out an update for the MCAS, while noting that FAA officials had already flown on jets with patched software.